Modern society faces many health and beauty issues due to the fast-paced lifestyle and the lack of time for personal care. However, there are many common kitchen ingredients that if used properly can solve your daily issues and among all of them, one such product worth mentioning is tea tree oil. Not many are aware but tea tree oil or “melaleuca oil” is a wonder ingredient having lots of uses and benefits for skin, hair and general health. It is an antimicrobial and antiseptic agent that can fight various infections and germs and protect you from falling ill. This amazing oil is an easy remedy, applying which, you can get relief from wound pains, acne, sore throat, toothache, hair fall issues, bad odor etc. And if you are wondering about the various benefits of tea tree oil, then here’s the post worth checking. Today in this post, I am sharing the list of 29 various benefits of tea tree oil for skin, hair and general health. Apart from talking about the benefits of tea tree oil, I am also going to tell you how to use this magical essential oil to get maximum benefits for various skin, hair and health issues. There has been lot of confusion regarding tea tree oil. Many confuse tea tree oil to be extracted from the plant associated with the beverage tea while others mistaken it as an extraction of the seed of the tea plant. However, the fact is, we get tea tree oil from the leaves and twigs of the Tea Tree or “Melaleuca Alternifolia” through the process of steam distillation. Although native to Australia, the medicinal and antiseptic properties of tea tree oil have made it a popular ingredient all over the world. It is now used in various skin, hair and health treatments, as it is effective, easily available as well as very inexpensive. However, try to use it for tropical application and avoid ingesting it. There is no doubt about the various benefits of tea tree oil – from skin and hair to overall health, tea tree oil can be phenomenal. Today I will be discussing about the top 29 benefits of tea tree oil for skin, hair and health in details but before that let me tell you the name of the constituents in it that make it a wonderful natural ingredient for skin and hair care. Tea tree oil is a natural antiseptic that is capable of fighting various tropical infections and diseases. 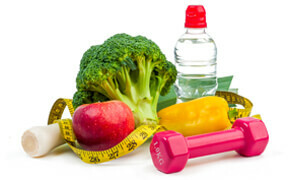 The various antioxidants present in it attributes to its good effects. You may like to check the article published in “Journal Of Agricultural And Food Chemistry” for details. Now that I have discussed about the chemical composition, let us learn about the various benefits of tea tree oil for health, skin and hair. Tea tree oil is a safe product when used in adequate amount using right technique and has many health, skin and hair advantages. However, I will start with the health benefits of tea tree oil first and then move on to the beauty benefits. I will discuss the method of usage as well so that you can use it properly and reap the maximum benefits. But before we proceed, let me tell you that tea tree oils is for tropical use and it should not be consumed. According to the “Journal of Applied Microbiology”, tea tree oil is an antimicrobial agent and can fight several infections. It also cures the fever that often accompanies them. Bacterial infections– Tea tree oil is an antimicrobial agent that can cure several infections with the bacterial infections topping the list. There are several stomach, colon, intestines, urinary and excretory issues caused by the various bacteria but with tea tree oil, you can easily fight most of them. Viral infections– Viral infections or diseases are dangerous as viruses have the ability to survive harsh conditions. They develop a special protective sheath “cyst” around them that helps them to bear extreme conditions of heat, cold or sometimes even poison. Therefore, common cold, mumps, influenza, pox and measles are a natural consequence if virus enters your system. However, reports show tea tree oil has the ability to rupture the cyst of some of the viruses and give us protection against the several viral infections and diseases. Fungal infections– The antimicrobial property of tea tree is very effective and can fight the fungus as well. It inhibits the growth of fungus and cures the fungal infections. However, for internal fungal infections, you may go for the herbal remedies but for the external fungal infections, tea tree oil is the best choice. You may use tea tree oil to cure your throat pain. Since it is antimicrobial, it can fight the infection and soothe your painful throat. Tea tree oil eases the inflammation or the swelling caused by the mucous membranes and give you relief from the throat pain. Take a glass of warm water and add a drop of tea tree oil in it. Put 2 teaspoon of salt in it. Gargle with this solution at least once a day and enjoy the quick relief. Sometimes a sinus infection can really turn you miserable. The air-filled cavities present in the skull have mucous membranes lining and when there is an infection, the pressure created on the head due to the excess mucous can sometimes drive you to tears. However, in such a situation tea tree oil can help you a lot. The antimicrobial property of it is airborne and hence you can use it through steam bath. You need to put 8-9 drops of tea tree oil in a container of hot water. Then cover your head with towel and breathe in the steam. After a while, you will slowly experience relief from the pain. The cuts and abrasions if not treated early can accumulate dirt and may turn septic. Therefore, it is important to clean it properly and apply an antiseptic like tea tree oil that will help to heal the wound faster. Tea tree oil stimulates the activity of the red blood cells and heals wounds faster. The cicatrisant property of tea tree oil gives a cooling sensation to the wound and reduces the pain. You need to clean the cut with mild soap and water and then dab a cotton ball soaked in a solution of tea tree oil and coconut oil in it. After that, rinse it and reapply it at frequent intervals. You may also apply the solution inside the bandage and place on the cut. When any bug bites you, the irritant or the allergen touches your skin and causes the body to release a neurotransmitter called histamine that further results to redness, itchiness and swelling. In such a case, if you dab a bit of tea tree oil on the infected area, you will find significant reduction on the wheal volume. This reduces the severity of the skin irritation and the cicatrisant property of it, cools and soothes the burning and the itching sensation that accompanies it. Sometimes our muscles sore a lot and give a feeling of fatigue and weakness that can bother you all day long. However, with tea tree oil, you may get quick relief. It relaxes the tension in the muscles and reduces the body ache. In order to get the benefit, you can add few drops of tea tree oil and Epsom salt in your bathtub and enjoy the good effects. Here the salt contains magnesium that is very important for muscle relaxation and contraction. This salt becomes the carrier for tea tree oil and together they give you relief from the sore muscles. However, do dilute tea tree oil with some neutral oil before using it while taking bath. If you are suffering from bladder infections, then do not forget to add few drops of tea tree oil in your bathing water. You can wash your urethra opening with this water that will give you relief from the bladder infections. The vapors of this oil kill the bacteria and soothe the discomfort fast. Moreover, studies have also shown tea tree oil to be a good cure for urinary tract infections especially in postmenopausal women. The tea tree oil is good for our health in general as it strengthens our immune system and helps our body fight various diseases. Tea tree oil has balsamic properties that help our body to absorb the nutrients more and make it immune to the deadly diseases. It also stimulates the secretions of hormones and facilitates better circulation of blood. Since tea tree oil is not safe to ingest, it is popularly used in aromatherapy to get many internal benefits including immune system strengthening. Every day we are exposed to various toxins, many of which enter our body and affect our health. The accumulation of the harmful chemicals in body weakens our digestive system and damages our kidneys and liver. However, tea tree oil helps in the elimination of the harmful toxins through the process of sweating. Tea tree oil is a sudorific ingredient that increases the process of sweating thereby removing toxins from our system. Besides, eliminating the injurious substances, it also removes the excess salt and water from our body. This way your system remains clean and detoxified. Various reports say that tea tree oil has the ability to aid in the treatment of several diseases that are sexually transmitted. Painful conditions like chancroid and syphilis can be cured by applying tea tree oil to the affected part. Bathing in water mixed with few drops of tea tree oil is another remedy. Studies have also shown that tea tree oil is effective in treating chlamydia that is caused by the “chlamydia trachomatis” although further experiments are needed to confirm the fact. However, do consult a doctor before usage. Ear is another sensitive body part and any kind of problem inside your ear can cause severe earache that can get unbearable at times. Mostly ear problems are due to infections and since tea tree oil is antimicrobial, it is a cure for most of them. Therefore, if you drop a few drops of tea tree oil into the ear canal, it can cure the infection and give you relief from the pain. The antimicrobial property of the tea tree oil is very effective in treating the issue of stye, a swelling or inflammation at the edge of the eyelids. In fact, it not just soothes the swelling but also removes the buildup of the bacteria “Staphylococcus bacterium” that causes it. If you want to get rid of stye, then apply filtered water mixed with tea tree oil on your affected eyelids thrice daily until the pain and the inflammation reduces. Body odor and foot odor is a complete turnoff and can ruin your reputation at any public gathering. Most people use the expensive deodorants and perfumes but these products have temporary effects and fade away soon. However, you may use tea tree oil for eliminating body odor. The application of tea tree removes the toxins that intensify the foul body smell and help you maintain good hygiene. With age, our nails get fragile but sometimes nails get affected due to the fungus infections, which can break them even at a young age. In such case, you may use tea tree oil, as it is antifungal and can fight all kinds of fungal infections with toenail fungus being one of them. It is also a cure for discolored or yellow nails. You may put the undiluted tea tree oil on the affected nails using a cotton ball. Alternatively, in case of stubborn fungi, mix it with antifungal oregano oil before application. Tea tree oil also strengthens your nails and prevents it from breaking fast. Tea tree oil has the ability to kill the bad bacteria that can affect your teeth and lead to several dental issues like toothache, cavity or tooth decay. It also soothes any swelling or inflammation and prevent the bleeding of the gums. Studies also prove it to be a remedy for dry socket where there is excessive pain in the tooth after its extraction. In fact, you may treat gingivitis inflammation or chronic periodontitis also with it. The natural deodorizing ability of this oil removes the mouth odor and keeps your mouth clean and fresh. You may use the mixture of tea tree oil, coconut oil and baking soda as natural homemade toothpaste to ensure good dental health. Several studies have proven the fact that tea tree is very effective in treating the problem of pneumonia. It also helps you get rid of the chest or head pain. You will also get relief from the stuffy nose that accompanies it. Therefore, try out the steam inhalation method using tea tree oil and enjoy relief from pneumonia. Lymphadenitis is a condition where your lymph nodes swell up and pain when touched. This generally occurs due to the bacterial infection in your body and tea tree oil being antimicrobial relieves you off the pain. Use the solution of coconut oil and tea tree oil and apply on your body or inhale it from the bottle. Tea tree oil has various skin benefits as well and here are the most amazing health benefits of tea tree oil for skin. Apart from including the measure skin benefits of tea tree oil, i have also mentioned about how to use it for various skin benefits. Microbes harm your skin in many ways and few of them like ‘propiobacterium’ can result to severe acne breakouts leaving unattractive marks on your skin. However, tea tree oil being antimicrobial helps fight the microbes and prevent acne or pimple breakouts. It also penetrates skin pores, removes the dirt, oil or other impurities, unclogs them, and prevents the occurrence of acne, blackheads, whiteheads or other skin rashes. Tea tree oil also has the potential to lighten the dark spots and make your skin look fairer. Use the mixture of tea tree oil and coconut oil for fighting pimples, acne etc or make tea tree oil face mask in combination with other healthy ingredients. This contagious fungal infection can be cured using tea tree oil. The antifungal activity of the oil fights the fungus and inhibits them from spreading. In order to get the benefits, you may first clean the area and then apply few drops of tea tree oil over it. Use this method thrice daily. However, dilute the oil with water before usage in case you have a very sensitive skin. Athlete’s foot or tinea pedis is a fungal infection that is contagious and if not taken care early may spread to the hands and toenails as well. It has symptoms like redness, blisters, peeling and cracking. However, according to studies, tea tree oil is an effective cure for treating athlete’s foot. As a remedy, you may make a mixture of arrowroot powder, tea tree oil and baking soda and keep it stored in a covered container. Then clean and dry your feet using the mixture two times a day. Tea tree oil can relieve any kind of inflammation or swelling on skin and hence is an effective remedy for treating the problem of psoriasis and eczema (few may experience reverse effect depending on skin type). You can easily make a homemade solution using few drops of tea tree oil, coconut oil and lavender oil to reduce your psoriasis and eczema. Razor burns are uncomfortable and any wrong treatment might make the situation worse. However, with tea tree oil, you can cure this skin issue. For that, you have to apply few tea tree oil drops using a cotton ball in the affected portion after shaving. Skin boil is common and mainly occurs due to bacterial infections affecting the hair follicles on your skin. Such a situation leads to swelling on your skin and sometimes the pain can make you feel feverish. However, besides consulting a doctor you may take the help of tea tree oil, as it is great in fighting infections. This will prevent the boils from getting bigger and more painful. For that, you need to gently apply tea tree oil on your boils daily. The contagious infection, scabies caused by the biting of the mites can be cured with the help of tea tree oil. According to studies, it soothes your skin off the rashes, inflammations and other bacterial complications that accompanies scabies. To get relief, you need to simply dab a cotton ball in tea tree oil and apply on the infected area. Let it stay for a while and then rinse it. You may treat your warts using tea tree oil. This is because tea tree oil is an antiviral agent that fights the virus and cures warts. You may apply undiluted tea tree oil on your wart and cover it with a bandage. Leave it overnight and remove it the next morning. Wash using cold water after that. Chickenpox is painful and it can lead to severe itching and scars but tea tree oil might help you in that. Tea tree oil soothes the itchiness and reduces the symptoms. It also lightens the marks that chicken pox leaves behind. Take bath in warm water mixed with adequate drops of tea tree oil or apply the oil using cotton ball on the affected scars. Besides, the health and skin benefits of tea tree oil, there are hair benefits as well. Here are few of the most remarkable benefits of tea tree oil for hair and how you can use to to get the maximum benefits from its application. If you want to maintain your hair, you may use tea tree oil. Using it alongside other oils gives you long and strong hair. For ensuring the length and thickness, you may use it along with carrier oil. Massage well and then rinse thoroughly. On the other hand, if your hair is rough, mix it with olive oil. This will not just make your hair soft but also prevent hair fall and ensure hair growth. Dandruff is a major problem that intensifies hair loss and so it is important to get rid of it and tea tree oil will help you in that. For that, you need to mix tea tree oil with carrier oil, massage it for 15 minutes and then wash off with water. This hair massage will moisturize your hair and fight dry scalp issues as well as help you to get rid of dandruff and its accompanying itchiness. I am sure you must have faced the problem of head lice at some point in your life and if you are still facing the problem, then do use tea tree oil to get rid of them. According to studies, it is proved that tea tree oil is effective in killing the head lice and also destroying the eggs. Research conducted on the University of Queensland also confirmed similar benefits when tea tree oil and lavender oil together was found to be very effective in eliminating head lice in little children. We have already learnt the various benefits of tea tree oil but it has some other uses as well. Here are a few. You may keep your bathroom fresh with tea tree oil. It can be used in kitchen cleaners. Few drops of tea tree oil can freshen up your carpets. The antifungal components terpinen and cineole present reduce mold growth in fruits and vegetables. You may use it to repel mosquitoes, spiders, ants and other insects away from home. Tea tree oil, when used in laundry detergent while washing clothes boosts the cleaning power. You may also spray a bit of tea tree oil and water on your plants in the garden to protect them from fungal growth. Control the pests using tea tree oil. It is often used in removing makeup. We today face many health, skin and hair issues and tea tree oil is a cure for many of them. In this post, I have discussed about the top 29 benefits of tea tree oil and I am sure, if you can use it as per my instructions, you will be benefitted with significant results. Tea tree oil is a safe product with few people being allergic to it. However, it may not be that effective for dogs and cats as it may affect their nervous system and develop tremors. Therefore, it is advisable to use it for adult skin and keep it away from pets and little children. Also, never take it orally. Are you suffering from several health, skin and hair issues? 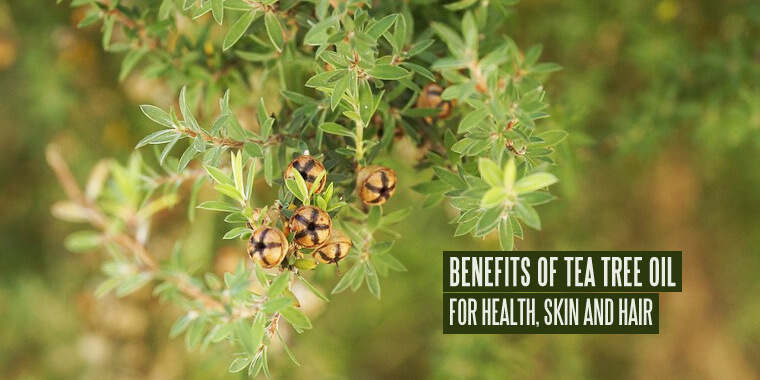 Have you checked the various benefits of tea tree oil? Do share me the feedback in the comments below. Also like and share if you find it beneficial. Tea tree oil is very beneficial for hair and skin care. It can be used as a cure for almost all tropical skin infections and diseases. Thanks a lot for the great article.